Here’s an app note from Microchip aimed at shedding some light into power dissipation and heat-sinking of low-dropout regulators. 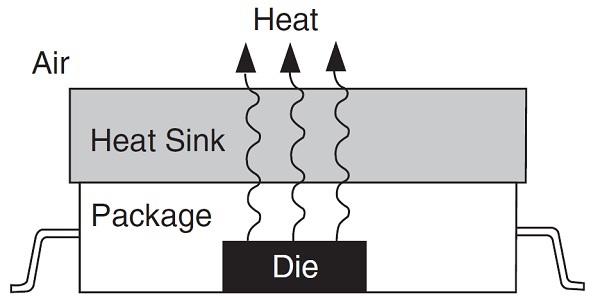 Basically all power that is dissipated from LDOs is turned into heat. This article describes what to look for in datasheets to calculate if, and what kind of cooling your devices need. LDOs specify maximum output current and input voltage limits, but blindly operating the LDO within these limits will surely result in exceeding the maximum power dissipation capability. This entry was posted on Saturday, September 29th, 2012 at 9:00 pm	and is filed under app notes. You can follow any responses to this entry through the RSS 2.0 feed. You can skip to the end and leave a response. Pinging is currently not allowed.